Came across this track last night. I love when beats and synths seem to be tripping over each other but in some lockstep sort of way. Basically I love the UK garage sound. Got 17 free months? Make a Daft Punk Helmet! A Guy-Manuel de Homem-Christo helmet to be exact. This video made my day, and I love that DIY projects like this exist. I think that I heard, back around the time of the Alive 2007 tour, that the real helmets cost thousands of dollars to make. Check the link below for a more detailed explanation of how this was done. rothko is to the field as …. 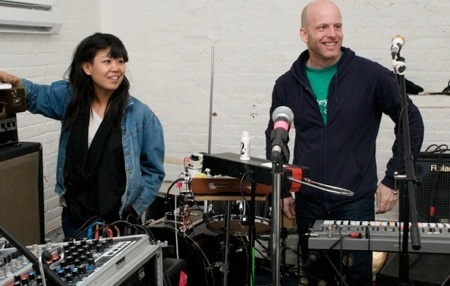 is to …..
did I mention there was a theremin? Who puts out a live CD/DVD combo when they’ve only released one LP and a couple EPs? I mean, it’s not like a headlining electronic act could build an entire show off of one album… Unless of course, it’s Justice we’re talking about. Instead of going over the history of Justice, which you probably already know, let’s jump right into the track-by-track (I’ve combined some tracks that are split into two on the CD). Intro (?/5) – Like listening to people screaming in anticipation? Then put this track on repeat for a few hours. I can’t really rate it because it’s just an intro track. Genesis (4/5) – Those horns… There might not be a better way to begin the live show. They’re mean, ugly, and they perfectly symbolize what Justice has done to dance music. As much as the Intro track is a welcoming to the live show when siting on your couch, Genesis is the intro to the live show when you’re on your feet and the lights just went out. It does it’s job well, but it suffer from a problem that runs through the entire show: Justice can’t find a groove to let people dance to (I’ll elaborate later). Phantom Part I & I.5 (4/5) – Genesis dies out, and that infamous synth line comes in. Right from the get-go, Justice is chopping the track up with the “boom-kat-boom-kat” drums that are featured in all their songs. Part I is a straightforward Phantom Pt I, and Part I.5 is more Phantom Pt I as an segway to D.A.N.C.E. It jumps back and forth between Phantom and a spacy kinda-arped synth; it serves as a way to slow the show down a bit. D.A.N.C.E. Part I & II (4/5) – Beginning with the acapella vocals, D.A.N.C.E. Part I leaves behind the funky groove that usually accompanies these vocals (a piano does eventually join in). No problem, acapella basically means sing-a-long to the audience, and it works pretty well seeing as everyone knows the lyrics. Part I ends by speeding up and giving into the faster, more eletro-oriented Part II. I have no idea what hardware Justice uses to get these unbelievable synths, but the one that comes with Part II is brand new and amazing. It really carries Part II through it’s 3 minute extension of Part I. These two parts of D.A.N.C.E. are perfect evidence of why Justice has been able to turn a 40 minute LP into an hour and a half live show. DVNO (4/5) – Losing no momentum, DVNO comes in with the same synth that went with D.A.N.C.E. Part II. I hated this song on the album at first, but the radio edit and this live version have converted me. The vocals aren’t sluggish and abrasive anymore, they’re smooth and provide another sing-a-long. This track undergoes it’s fair share of chopping and splicing (thanks to Ableton Live, I believe). Waters of Nazareth (Prelude) (3/5) – This track serves as a quasi-extension to keep the audience interested without becoming fatigued. It isn’t really Waters of Nazareth, but some small parts of the song are mixed in. There are some vocals included I don’t recognize, but they aren’t a big part of the song. It’s only a two minute segway, and 15 seconds of it are the break down that lead into One Minute to Midnight. One Minute to Midnight (3/5) – One of the most interesting tracks on the LP to me. It didn’t receive much attention, but it’s cool in a different way than the rest of the songs. Unfortunately, it’s also used as a semi-segway to the next song in the live show. Tthhee Ppaarrttyy (0/5) – Call me a hater, but this track should never have been included on the album. Just because Uffie is a label-mate of Justice doesn’t mean that she’s necessary. Luckily for Justice, there are a TON of people who do love this song. The crowd roars throughout the whole thing. Let There Be Light (5/5) – The name of this track couldn’t be more appropriate here. It begins at a snails pace and builds to its true tempo of over 120 bpm. This song and the synths that come along with it seem to want to rip each other to shreds from start to finish. There are high-pitched repeated screaming sounds contrasted against a super-low grinding bass that somehow come together with the same drums that are in all the songs. I guess to showcase some of their remixes, Justice also includes a small sample from their remix of Scenario Dance’s Skitzo Dancer. You know, the one where it says “disco” over and over and over. Stress (4/5) – Some reviews call this the highlight of the show. I disagree. While this “Auto Remix” of Stress is quite a feat in how much it differs from the original while still maintaining it’s tones (of stress), it doesn’t ever really go anywhere. It builds, and builds, and builds, but when the drums hit, they just seem awkward and don’t reach that climax that electronic tracks are meant to. The bouncing strings are awesome, but again, they don’t go anywhere. At the end of the song, the bass line from We Are Your Friends comes in. Waters of Nazareth (5/5) – This is the real Waters of Nazareth. While We Are Your Friends is Justice’s happiest track, this is without a doubt their angriest. It’s the first Justice song I ever heard, and at the time it convinced me that Justice was an industrial-dance duo. 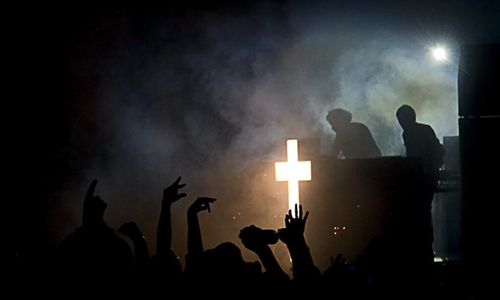 Justice has turned the public’s perception of electronic music on its head. No longer do you have to be in a club listening to “unst-unst-unst” bobbing our head all night. Now you can be at a street festival with thousands of people doing some amalgamation of dancing, jumping, and moshing. Justice might be a fad (it’s seeming less and less likely though), but the closest thing I can compare them to is The Prodigy. Phantom Pt II (5/5) – Forget Stress, Phantom Pt II is the real climax of this album and of the live show. It’s what everyone has wanted to hear all night, and when it comes up to speed, everyone basically goes apeshitcrazy. This version of the song is a mix of the original, the Soulwax remix, and I believe the Boys Noize remix. It’s as close to perfect as you can get. It would be perfect if it didn’t have that damn lady talking in random spots. Forgetting the lady, I love this song. I’ve listened to it way too many times. It brings be back to when I saw Justice at Street Scene earlier this year in the same way that the Encore song from Daft Punk’s Alive 2008 album brings me back to when I saw them last year. Encore We Are Your Friends (Piano) – It’s a short song that brings in the encore. Nothing special. NY Excuse – Honestly, I don’t really like this song. It’s really interesting, but I think it takes too long to get where it wants to go, and when it gets there, it sounds like it’s trying to be We Are Your Friends + Justice distortion, but it falls short (run-on sentence, I know). Final Metalica – Bringing Metallica to an electro show is pretty much what Justice is about. It’s a good final song. They pump up the 4/4 beats and speed it up; it closes the show nicely. Overall, I think I’d give the album a 4/5. That last point is lost to the fact that Gaspard and Xavier don’t frequent dance floors. Only in Phantom Part II does the live show give the audience a groove to dance to. In other places it tries, but the songs are cut short by breakdowns or transitions that leave the beat out. To bring up the Daft Punk comparison, I feel that this was something that Daft Punk did flawlessly. They know how an audience reacts to certain songs. They understand that fatigue sets in when you leave the energy too high too long. I hope that Justice can learn these things over time and improve their sets accordingly. Robot Rock / Oh Yeah: We begin with the chopped words “Human Robot” being spoken very slowly. The pace picks up, high hats are forging on, and bit by bit the beat comes in to play. After 2:20 of intro, Robot Rock comes in full force. This track off of Human After All, which has had its fair share of plays, starts the record off nice and hard. It’s repetitious, but rough enough so that we know that Alive 2007 definitely isn’t Discovery 2. As Robot Rock gets split and mangled, Oh Yeah, one of the straightforward Homework tracks, replaces the beat. We continue a bit to establish that bass will not be lacking here, and move on. Touch It / Technologic: In comes the sample of Technologic used by Busta Rhymes mixed with a modified Robot Rock beat. Please, try not to get overwhelmed by the variety of beats layered behind the vocals here. After a bit of straight Touch It is finished playing and our two robots kill every sample used, the true Technologic vocal comes in to speak every line of the intro. Some guitar sample is played with it, and after a whole minute without bass, Technologic’s trudging beat blasts out to keep the heads bobbing. Again, more shredding of sounds is done with Ableton Live and the other hardware located in the most elusive of pyramids. Television Rules the Nation / Crescendolls: The first empty second shows its face, but the vocoded line of “Televisionnn… Rules the Nationnn…” quickly covers that up and continues the Human After All laden first tracks. But then we are so rudely tempted with the lines of “Around the World,” and my favorite synth line ever gets its play time. This song really is better at a fast tempo. The song cuts straight into Crescendolls, which plays for a bit. 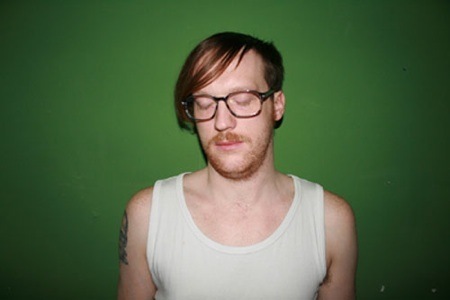 Crescendolls is a party-ready song to begin with, but when they bring back Television, wow. The high-energy of Crescendolls and the industrial trudge of Television is insane to say the least. Too Long / Steam Machine: Time to come down. Television/Crescendolls was fun, but that energy can’t last too long. This song is an excellent example of how Daft Punk isn’t out to keep the energy at 10 all night; they recognize that by bringing it in waves, those highs are so much better when they hit. Regardless, this is a nice revamp of Steam Machine, which was one of the songs on Human After All that got too repetitive. Not so here. This song serves its function: to bring the energy down & give everyone a breather. Around the World / Harder Better Faster Stronger: Your breather is over, brace yourself. As you can hear, when the bass-line of Around the World comes in, it’s obvious that you’re in for a treat. As Daft Punk’s most singable song plays, another all-time classic works itself in. If you want to chant along, please feel free. These two songs are fan favorites for a reason, and when they are pumping at the same time, the energy is back up at 10. Throughout the song, never do these two monsters seem to be at each other’s throats. It’s as if they were meant to be torn apart and squashed together from their creation. Burnin’ / Too Long: Coming back down, the raw originality of Burnin’ shines. Straight from Homework, this 10 year-old song hasn’t aged a day. A fair amount of effects are thrown into the mix so as not to get repetitive. For the second and final time, Too Long surfaces for its showcase. It got 10 minutes on Discovery, why not another 5 here? As the song comes to a close, it is clear that Part I is finished. Face To Face / Short Circuit: The interlude between acts begins. Don’t worry, the energy doesn’t get too high here. To me, this song shows off Daft Punk’s ability to perfectly re-create their songs to form new entities that stand on their own. As if the original beat on Face to Face wasn’t sweat enough, Harder Better Faster Stronger is no longer a vocal section, it replaces the hodgepodge first beat. Ending this middle-ground, Short Circuit and then silence. Aerodynamic Beats / Forget About the World: Slowing down a bit, but not too much, Daft Punk kinda flaunts an old mix here. It has a great synth that sweeps in and out that meshes with Brainwasher’s vocals near the end. Prime Time of Your Life / Brainwasher / Rollin’ and Scratchin’ / Alive: 4 in 1, that’s what you get here. Prime Time’s vocals are nice, but are pumped up a notch when Rollin’ and Scratchin’s single drum hit accompanies it. Both old and new are played here. One observation of this track is how well Human After All combines with Homework. For as much slack as Human has received, when played with Homework, they really do work well. Da Funk / Daftendirekt: Part III (of III). Da Funk has my second favorite synth in it. It bounces and stays consistent with its bitter sting throughout. As Daftendirekt follows and mixes with Da Funk the effects that can be applied live are shows off here. Stutters, EQs, and the like are all used here, making for a song that differs greatly from the original two from Homework. They don’t carry the same 90s French Touch sound that their originals do, they are brought into the 21st century with style and class. Superheroes / Human After All / Rock’n Roll: To be blunt, this song is all rise. But what else could you ask for from a finale? It begins with Superheroes’ simple bass and the looped vocal comes in gradually as the original does. And then, what’s that? Oh, that’s the best beat of Human After All. That beat hits SO hard. How a house track is made into a fist-pumper escapes me. This song was always meant to be a finale song. With lyrics that say, “We are human, after all. Thanks for comin’, after all,” it could be nothing else. Pitches are raised, volume is maxed out, and in the end, the beat is dropped for the final “After All.” Fitting. The crowd roars, and for good reason. They know that an encore is coming up. 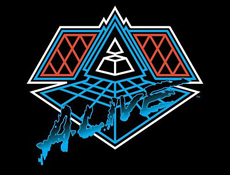 Encore: Human After All / Together / One More Time / Music Sounds Better With You: So if you were lucky enough (like myself) to get the limited edition version of Alive 2007, you know what this track is. If you were cheap or couldn’t find the limited edition, go and download this song. It’s worth it. Going back to basics, “Human” is repeated many times until the “Time” sample from Para One’s remix of Prime Time After All at 2:15 brings the song into swing. The beat continues and eventually “Together” is brought in. The song falls down repeatedly as the second part begins. And we come to the rise. You can hear it; the hi-hats are increasing. Now it’s all or nothing, and the crowd roars. Why? Because the red suits just lit up, and it’s the most amazing thing that they’ve ever seen. But the song continues with One More Time accompanying this mix of old/new hits and old side-projects. I can’t really say enough about this song, it completely blows me away. 10 minutes for a single-song encore is amazing. The show is over, your mind has been blown. I hope you have enjoyed my explanation/review of each track. If you agree or disagree with any of my points, feel free to comment! It’s been some time since I’ve reviewed any music (the Neighborhood Fest doesn’t count), so here goes. You might be surprised to hear that this distortion-electro artist called Boys Noize is German. If you aren’t, then you need to do some reading up on modern electro artists (I have quite a bit of stuff written here, just look around). France is all over the house/electro scene right now. Back to the CD. It’s quite good. DJ Alexander Rihda aka Boys Noize is making music very similar to SebastiAn and some of Justice’s earlier EP stuff. Possibly comparable to MSTRKRFT if they used more effects to rip apart their hard but pristine sound. This album Oi Oi Oi is similar in sound to his already released EPs. It’s a very hard, rough sound that is conveyed through the deep bass hits overlayed by heavily distorted synth riffs. There’s a bit of glitch thrown into the mix too. Look at the album cover (a disco skull), it exemplifies the sound perfectly. The songs throughout the album start off great. The trouble that I have is that they all don’t amount to something. You can have a great intro with the bass dropped out and slam in with the effects and everything, but the song needs to go somewhere. I feel like trance has a good grasp of the rises and falls, but sometimes the majority of the time trance DJs overdo it (especially in long live sets). Songs like “Don’t Believe the Hype” and “Oh” are really great songs because they have the synths come and go with new elements being introduced through the songs. Songs like “Shine Shine” and “Vergiftet” just don’t cut it for me. Overall, it’s a really good record, and the remixes that he’s done are amazing as well. Oi Oi Oi doesn’t really measure up to the likes of Ross Ross Ross from start to finish though.